BrainFizz - Routing, Making, Custom projects & Training. 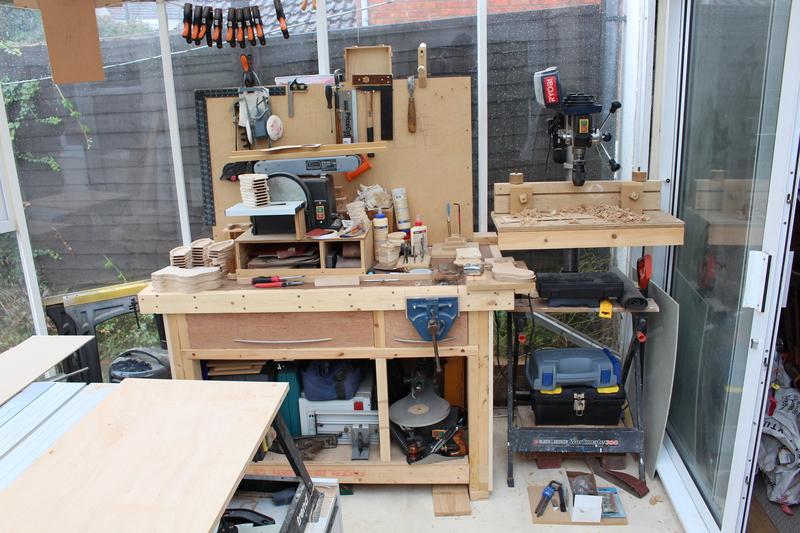 : The importance of a tidy work space: why is a messy workshop safer? 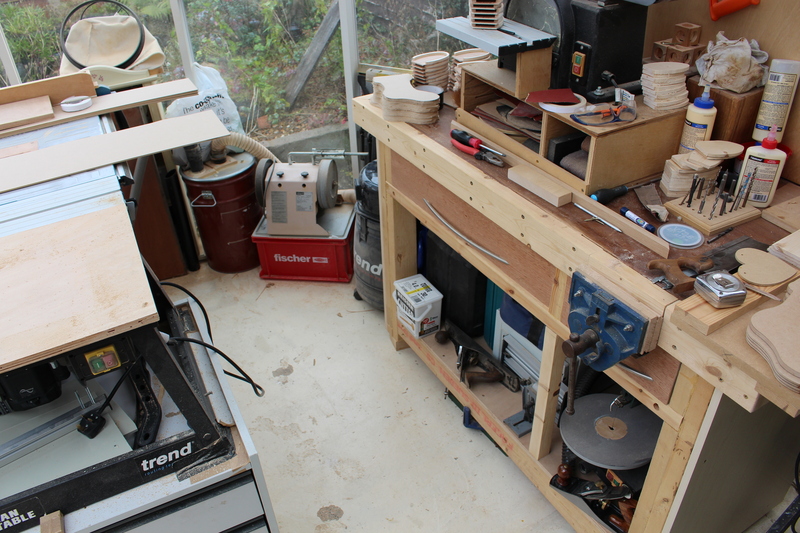 The importance of a tidy work space: why is a messy workshop safer? So if you read magazine articles, or books on the subject of either safety or workshop organisation, there is likely to be mention of keeping the place clean and tidy to avoid mistakes, unsafe practices, and other little mishaps. You might also find a section on organising machinery to optimise workflow and stay safe by organisation. Now I will assume that readers, like me, are always safe, have the guards in place, and sweep up saw dust and tidy away trip hazards etc. So no more of that will be mentioned, that's for us to take up with our own consciences . 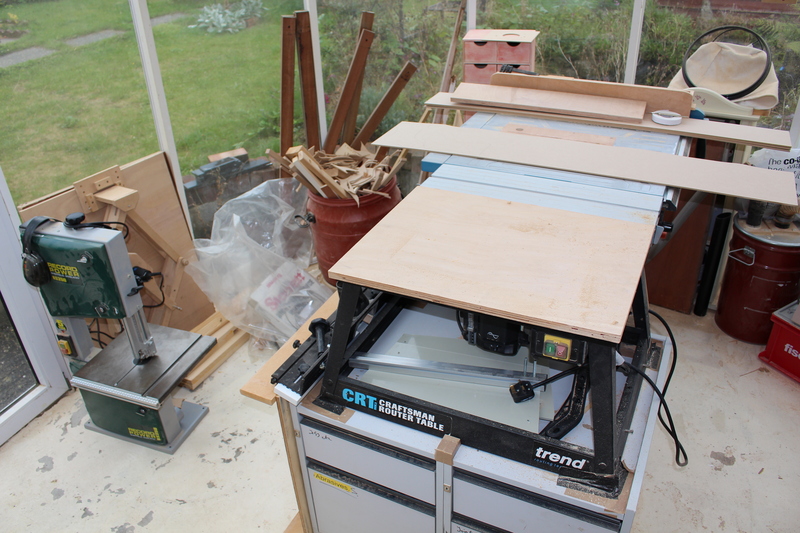 The other day, I was in the middle of about 3 or 4 projects concomitantly, tools and materials everywhere etc. I'm pretty sure many of you will have experienced this, you move things out of the way in one area, or get out a machine to use, then have to pack it away again, to use some thing out and so on. I often now have the added distraction of a camera tripod during the filming episodes for my youtube channel, taking up valuable real estate, and it can be a bit of a pain to say the least, but not only am I proud of my little area, but I try to remember every day I'm lucky to have anywhere to work at all - long story, but you know who you are. So as is pretty much normal I made a silly mistake, stopped, put the kettle on and went out for a brew. About 15 minutes later, i returned with a nice hot beverage, took one look at the mess, and it hit me! I wasn't working in an unsafe area, there was not too much to trip over, no more saw dust than normal, I just couldn't find anything, tools hidden under things, machinery tucked away behind something , something else on top of another blah blah blah. Don't get me wrong, I don't keep a Messy shop - well no messier than a lot I've worked in - I don't get the traffic through to cause any real explosions of untidiness, but I have to say, I was really quite surprised to think "i can't work in this mess, and i can't be bothered to clean it up right now, i'll do it later"
So I guess having a messy workshop can be the safest kind - after all, you can't have an accident in the shop if your not there.